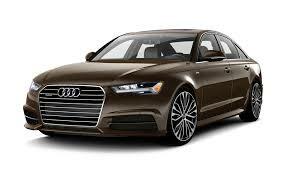 The 2017 Audi A6 has one of the best cabins in its class, with an attractive dash layout, excellent materials quality and solid fit and finish. The infotainment system controls a dizzying array of functions, utilizing a dash-mounted pop-up screen and a knob and buttons on the center console. The system boasts logical menus and crisp graphics, and the “MMI navigation plus” upgrade (standard on all except the base 2.0T Premium) includes USB integration and a touchpad that can recognize fingertip scrawls. It’s sophisticated, but we still prefer BMW’s iDrive or Mercedes’ COMAND for overall ease of use.